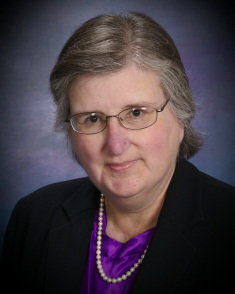 Law Office of Janet Shafer Boyanton, P.C. Janet Shafer Boyanton is a sole practitioner in DeSoto where she practices in the areas of elder law, probate, wills, and estate planning. She has numerous publications and has lectured to various civic and professional groups on estate planning, probate, asset protection, legal issues in Alzheimer’s, aging and nursing home residents' rights issues. Ms. Boyanton earned her B.A. degree from Austin College, her M.B.A. degree from Amber University, her M.Div. from S.M.U. Perkins, and her J.D. degree from Texas Wesleyan University School of Law. She received mediation training from Settlement Consultants International Inc.
Ms. Boyanton is a member of the State Bar of Texas, the College of the State Bar of Texas, the Dallas Bar Association, the Texas Chapter of National Academy of Elder Law Attorneys (Past Board of Directors, By-laws Committee), the National Academy of Elder Law Attorneys, and was the founding treasurer of the Best Southwest Bar Association. She is active in church and community work and serves on the Board of Advisors for the Texas Advocates for Nursing Home Residents. Contact our DeSoto legal office for an appointment to meet with Attorney Janet Shafer Boyanton. Dallas Attorney Janet Shafer Boyanton sends out an email newsletter monthly discussing elder law and estate planning issues of interest to her clients. To subscribe simply click on the link below and provide your name and email address. Alone and Alive - A Practical Guide for Dealing With the Death of Your Husband, is a new book that addresses the most common issues faced by the new widow. Janet Boyanton, the author of this book, combines her professional experience as a probate and estate planning attorney, her education including an MBA, and a Master of Divinity, with her practical experience as a widow of ten years to produce both a compassionate and fact filled guide to assist the new widow in becoming the vibrant, happy person she can be. Copyright © 2009- 2019 Law Office of Janet Shafer Boyanton, P.C. All Rights Reserved.